Construction and use of a biogas digester Biogas systems can be built on any scale: small and simple for a single household, or large and industrial for a whole municipality. 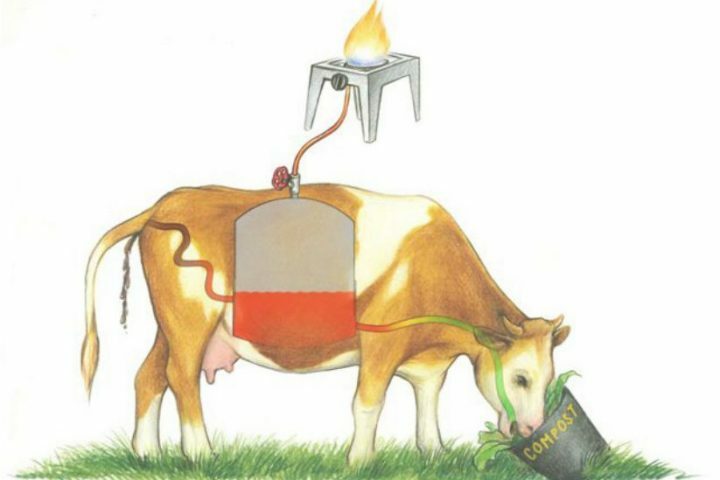 biogas consists of about two third methane and one third CO2, with some water vapor and trace gasses (principally H2 S) and as such, without any alteration or purification, it can be used in all appliances made for natural gas for example cookers and water and space heaters and electric gensets with minimal modifications. 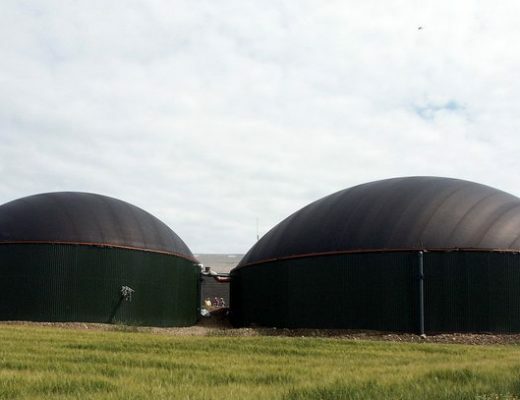 A basic biogas digester consists of a tank in which the organic material is digested, combined with a system to collect and store the biogas produced. The digesters can be quite simple, and the details vary depending on available materials and the needs of the community. Our biogas digester, built in cooperation with T.H. Culhane from Solar C³ITIES e.V., consists of a cylindrical 3000 liter tank, open on top, in which the organic material is digested. A second, slightly smaller tank is placed in the larger tank, upside-down. As biogas is produced, the inner tank fills with gas and rises, telescoping out of the outer tank. As biogas is removed for use, the inner gas storage tank sinks back into the larger, outer tank. In this system, the inner tank acts as both storage, and as a lid for the digester tank. The gap between the tank walls is narrow enough to prevent significant quantities of oxygen from entering the digester, which would kill the anaerobic bacteria that produce the methane. “Insinkerator” garbage disposal.Nowadays these “waste disposal” machines are being rebranded as “feedstock preparation devices”and we call them “compost companions” because they can be used to prepare organic garbage for use in both anaerobic and aerobic decomposition processes.Grinding allows the bacteria to access and digest the organic material more easily; in an anaerobics ystem the transformation into gas and fertilizer can take as little as 24 hours while in an aerobic compost pile the transformation into soil can take as little as three to six days instead of months.For our biogas digestor a slurry of ground biomass and warm (40°C) water is poured into the tank inlet funnel. The inlet for the digester leads down to the bottom center of the digester tank. The digested organic material leaves as a high-quality liquid fertilizer, through an outlet near the top of the outer digester tank. At the top of the inverted, inner tank, there is an outlet for the biogas. Before normal operation, the biogas digester must be “started.” This is done by preparing a 1:1 mixture of fresh animal manure and water, and allowing this to ferment anaerobically for several weeks. The volume of this mixture should be around 200 liters for a 3000 liter digester or roughly 30-40 kg of animal manures per cubic meter of digestor tank space. 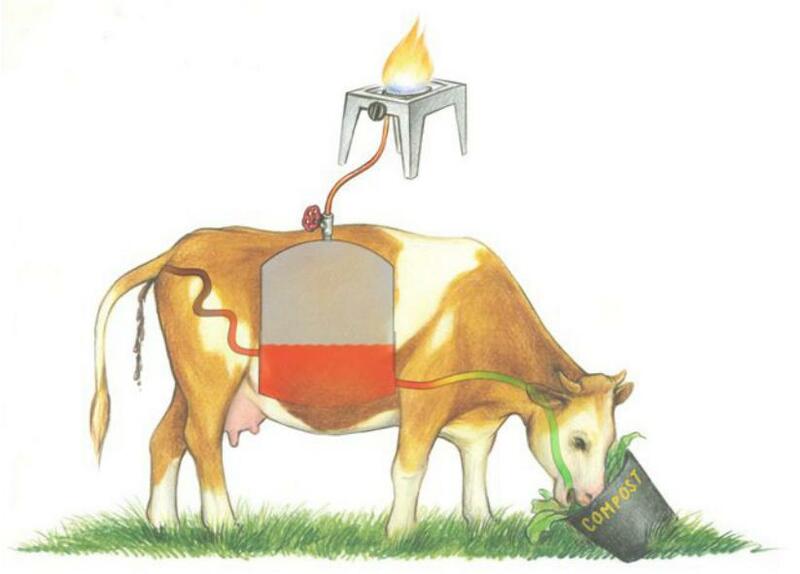 Less can be used but it would simply take longer to establish the colonies of bacteria to enable feeding (feeding only starts once first flammable gas is produced).The slurry can be prepared in a seperate container or in the digester tank. The manure contains the naturally-occurring bacteria that digest organic matter and produce methane. Note that unlike in cheesemaking or yoghurt making biogas digestors do not rely on one strain of bacteria but depend on a balanced ecology of many different types of microbes – hydrolytic, acidogenic, acetogenic and methanogenic.